Back in March I became slightly obsessed with a series of mystery novels known as the Rose Gardner Mysteries by Denise Grover Swank. Though I have yet to read any books outside of this series by Denise, in the Rose Gardner books she proves that she has a real knack for creating great characters. Rose’s transformation as each novel progresses is so strongly written, and there are plenty of great side characters as well. With the box office and critical flop of One for the Money (2012), based on the first book in Janet Evanovich’s Stephanie Plum series, I’ve been wishing a new female-led mystery/comedy series would come along, and the Rose Gardner Mysteries would make such a great film series. I knew as soon as I finished the first book that I would love to see these characters translated to the screen, and that feeling has only gotten stronger as I’ve read the sequels. 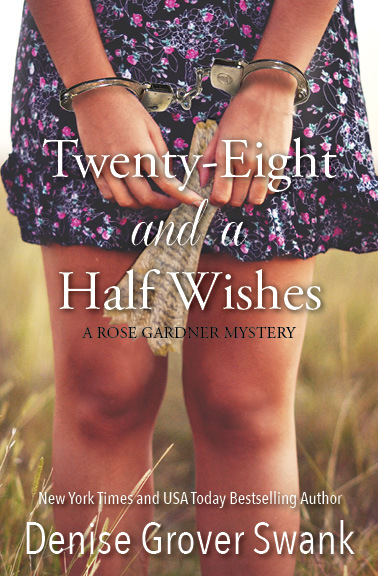 Today, the fifth novel in the series is being released (the sixth Rose Gardner book, if you count the “#3.5” novella). In honor of that, I’ve decided to feature the book series in a “Could it be a movie?” post and share my dream cast with you! As I believe I’ve mentioned on this blog before, I think that Troian Bellisario is one of the most promising 20-something actresses working today. She’s the strongest performer on ABC Family’s Pretty Little Liars, and I’ve also been impressed with her in the web series Lauren and the short film Exiles. I’m 99.9% sure she’s never accept a role in a mystery/comedy/action series, but that’s why this is called a dream cast and not a “totally serious list of people I’m actually going to hire if I ever have enough funds to acquire the film rights to the Rose Gardner mysteries.” Troian seems to gravitate toward independent drama when she’s not working in television. Rose is a character with a complicated past and a complicated present, so the role does offer a chance to flex those dramatic muscles, but there are a lot of other genres layered in as well. When I was a young’n, I became a fan of Eliza Dushku through Bring it On and the TV series Tru Calling. While her filmography may be more varied than I give her credit for, I’ve only ever seen her in “tough” roles. So, it would be interesting to see her play suburban-perfect Violet, who has a complicated relationship with Rose. Their relationship only becomes more complex as the series of novels progresses, with Rose uncovering some shocking truths about their family history. Mason is my favorite of Rose’s two suitors, so when choosing this dream cast I decided to go with one of my of-the-moment favorite actors, Theo James. Mason has a tough side and more caring, sensitive side. When he and Rose first meet they bicker constantly, but they grow to have a great respect for each other. I think James could pull off both sides of that relationship transformation perfectly well. He’s a capable actor and, if Divergent was any indication, would clearly be comfortable with the action sequences of this series. (The fourth novel in particular is physically taxing on Mason.) He also proved in Divergent that he can do a decent American accent. I’m not sure he fits with the rest of the cast I’ve chosen, but I pictured Anson Mount as Joe while reading. Since it felt a little bit odd to throw him into a love triangle with Troian Bellisario and Theo James, I went for Joseph Morgan instead. Honestly, this role is tough to cast because Joe is my least favorite character in the series, and I’m kind of hoping he gets killed off in book 5! Neely Kate is a petite, outgoing gossip-hound who works at the court house and becomes friends with Rose when they’re both called to jury duty. Like Neely Kate is to Rose, Jayma Mays is a few years older than our dream cast leading lady Troian. Though I haven’t seen much of her work, from what I have seen I think she could easily pull off Neely’s bright, caring and youthful spirit. He pulled off a smarmy and highly hate-able character in The Social Network, so he could work for the parts of the story in which Jonah needs to appear suspicious. Later, Jonah becomes a friend to Rose. In a universe in which I was a film producer, hopefully Hammer would be willing to take on a small supporting role. The Lone Ranger was a flop, after all! There are plenty more roles I could dream up cast members for in this series (Bruce Wayne Decker, for one), but the second half of the new book awaits. If you’ve read this series, who would you cast in a film adaptation? I too am obsessed & wondering has anybody bought the rights? I don’t believe so, but I’m hoping it’ll happen! I like most of your choices there. Although I am slightly different in that I’m a bit of a sucker for Joe! I had thought of him as someone like Mike Vogel though? Haha. I think maybe I find Mason too straight laced. Who knows. What’s a bit funny (well you know – a bit) is that we are currently watching Under the dome with Mike Vogel and he helps a boy in it who is called Joe McAllister!! That’s hilarious! I guess if the Rose Gardner books get optioned and he gets cast in whatever project results from them, he’ll already be used to hearing the name! Mason is a bit straight-laced. I’ll agree with you there, though more dimensions of his personality (and his flaws!) were revealed in Thirty-Two. DGS revealed his possessive nature in the latest novel and that knocked him down a few pegs for me, haha. My big issue with Joe is that he strikes me as being incredibly emotionally manipulative and disrespectful of Rose. She makes her intentions to be with Mason clear, but he just won’t give up. Some people find that romantic, but I just find it problematic. I’ve never been “team Joe” but at this point I’m not heavily “team Mason” either. I’m very interested to see where DGS takes the characters in the rest of the 5.5 novella and in the sixth novel! I haven’t watched Nashville. I’ll have to look that actor up! Mike Vogel is more how I picture Joe :) definitely Team Mason though! Now that he’s been mentioned I feel like I should amend my dream cast list, haha. He’s a much better fit, but his name didn’t spring to mind when I was writing! I love these books, just finished the last one and came looking hoping here was a film! I would love a film to be made. Armie Hammer is 100% how I picture Jonah! A film needs to be made! I agree, someone needs to option this series and get it in production ASAP! If only I were a millionaire, haha.